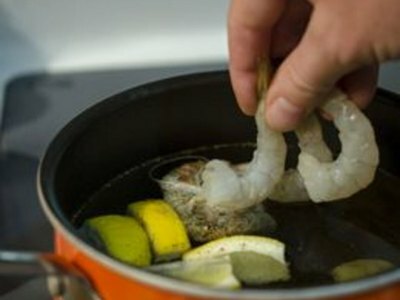 How to Boil Shrimp. A shrimp boil is the easiest way to prepare fresh, delicious shell-on shrimp. They take only minutes to cook and can be infused with your choice of spices. Use them in a variety of dishes, or serve them cold as an appetizer and let guests peel their own. 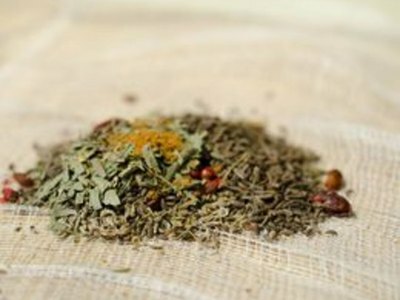 Create a spice bag with a 12-inch square of cheesecloth. Sprinkle the shrimp-boil spices into the center of the cheesecloth. 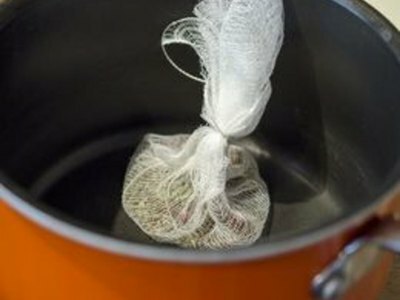 Gather the cheesecloth into a loose pouch and secure tightly with butcher's twine. 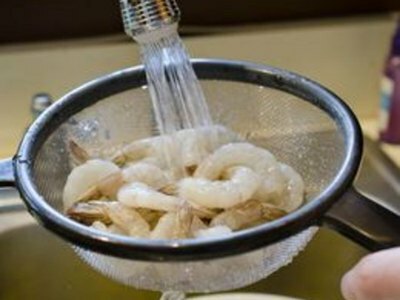 Rinse the fresh shrimp under cool tap water. Leave the shells, legs and tails on for added flavor. Add the spice bag to the bottom of a large pot. Add hot tap water to soak and submerge the spice bag. 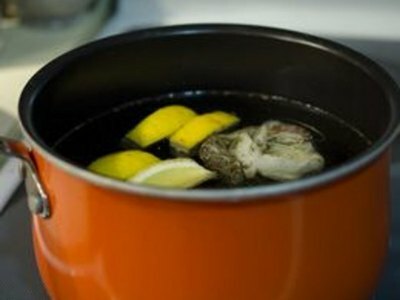 Add a few slices of lemon, lime or orange to the hot water. Set the water on the range and heat to a gentle simmer. Add the shell-on shrimp to the hot water. Take care not to splash the water. Let the water return to a gentle simmer. Cook the shrimp over medium-high heat, monitoring it closely. Remove the shrimp from the water as they rise to the surface. 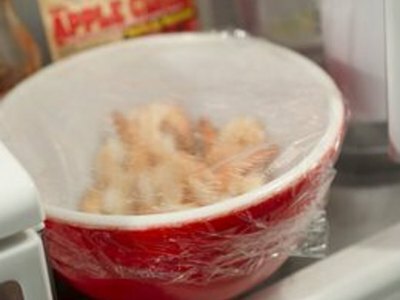 Chill the shrimp immediately to stop them from cooking further. Remove the shell, legs, tail and vein before serving. Leave the tail on when serving as a cold appetizer or shrimp cocktail. 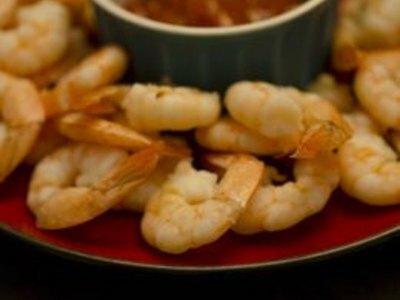 Shrimp are numbered by how many are contained in a pound. Approximately 20 to 25 shrimp would make up a pound. The dark "vein" down the back of a shrimp is actually its intestinal tract and should be removed before serving.